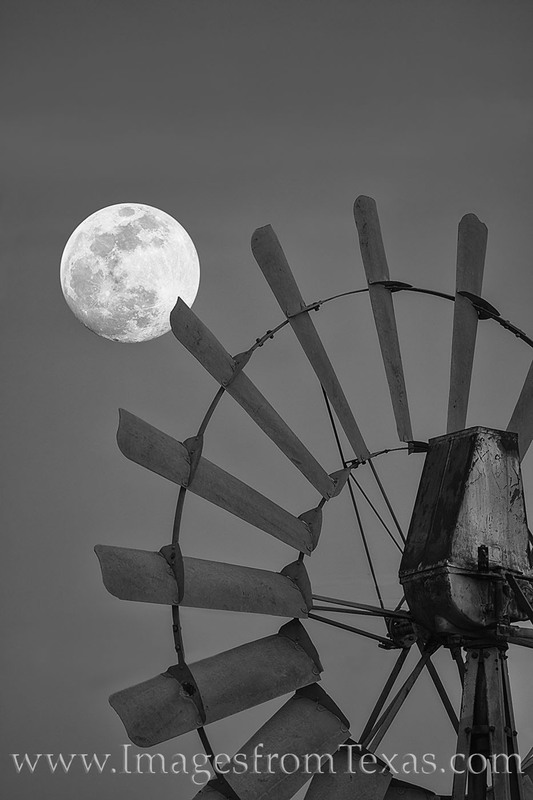 An old windmill sits under the bright light of a January supermoon. Taken as the moon was rising into the evening sky, this photograph shows the moon on a clear, cold sky. A few hours later, a total lunar eclipse would occur, bringing on a Super Bloood Wolf Moon. Photo © copyright by Rob Greebon.